Elements Event @ the VRC July 8th. It can be daunting to a first time buyer to sift through advertising by-lines promising much more than they can deliver, with door to door salesmen, customs auctions, bankruptcies and discounts of several orders of magnitude above any measure of good taste. What does it all mean? The best way to answer this question is to separate an area rug into some basic categories, firstly the tribal or nomadic traditional weavings. 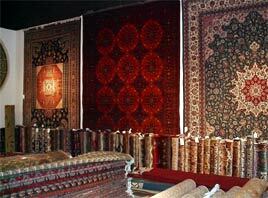 Village weaves, City or workshop woven rugs and Collectors pieces. The last category are housed in collections, museums and almost always over 150 years. Will the rug need to be a certain size to be featured in the area it will be situated in? Is the rug for a more formal or more relaxed mood? Is there a specific colour which may or may not be present in the rug, but may make all the difference in your decision? Should the rug be ornate, subdued, blightly coloured or blend in? Is there a period look or style influence to consider? 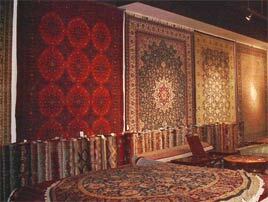 Is this rug a specialty-weave or a commercial production? What type of pattern will appeal to you more, day after day, week after week, year after year? Is the prospective vendor happy to answer my questions even if I visit repeatedly before buying? Is the vendor interested more in my needs or the final price negotiation? Is the vendor informed about current trends in the marketplace regarding size, design and hot items? And lastly, if something seems too good to be true, it probably is. Be informed before making a decision.